The McLouis Motorhome Group, 2019, 379. 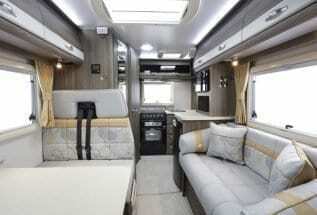 This is A fixed bed motorhome that has all of those Italian features. Also, built with the family in mind. This McLouis Fusion is a five seat belted motorhome. With four berths, being 7410m in length and 2950m in height. This McLouis Fusion brand is all about being practical and providing serviceable motorhomes. Anyone, considering the need for space a simple fixed bed layout? This McLouis Fusion 379 is well worth a look over. You also get a very good feeling why? McLouis Fusion 373 an outstanding fixed bed motorhome at an affordable price. The McLouis 2019, 373. Whilst you may be considering this layout. take another look! 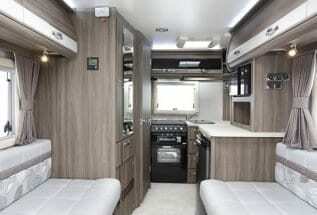 This is not just another fixed bed motorhome because it has the very exceptional finish. This McLouis Fusion is a five seat belted motorhome. With four berths, being 7410m in length and 2950m in height. This McLouis Fusion 373 is practical and a very serviceable motorhome. A name to remember, the Auto-Sleeper Burford Duo 2019 model, is built on a Mercedes Benz chassis. This offers you many key features as standard. With the options, of the Autosleeper Mercedes Benz winter pack, included in the price. Thus, making your motorhome available for all year use. Along, with the premium and media pack options. That do provide, even more out and out luxury. So, you begin to see, what all the fuss is about. Hence, the moment you see the options, that the Auto-Sleeper Burford provides you with. Most are very impressed. 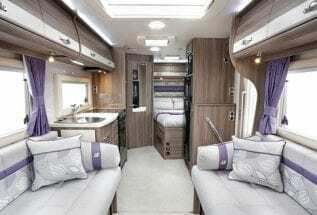 An, Auto-Sleeper Winchcombe 2019 model, is a very attractive, luxury motorhome. Having a very nice central kitchen, providing an area for eating and relaxing. Being, an out and out two berth, there is still loads of room for entertaining. A rear washroom with separate shower. 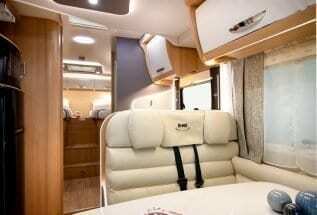 With an extensive range of Mercedes Benz coachbuilt motorhomes. 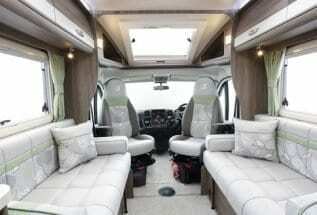 The Auto-Sleeper Winchcombe 2019 model, is paving the way for another outstanding luxury Mercedes Benz motorhome. 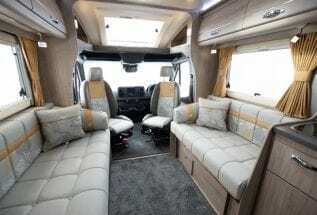 The Auto-Sleeper Malvern 2019 luxury motorhome, does mean, just that, out and out luxury. 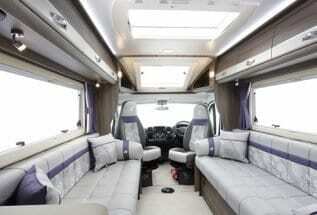 Also, this has to be one of the most successful luxury Mercedes Benz motorhomes in the Auto-Sleeper range. So, out and out luxury is what the Malvern is all about. With the options of premium packs including a Free winter pack providing an extended specification. All in all this with a media pack fitted is just luxury on wheels. The Auto-Sleeper Bourton 2019 model, is part of the luxury Auto-Sleeper Mercedes Benz range. Auto-Sleeper specialise in manufacturing, award winning motorhomes. In fact, producing award winning motorhomes for some time. Auto-Sleeper models are well suited to the Mercedes Benz chassis. So, with a number of the Auto-Sleeper Mercedes Benz layouts, like in the Auto-Sleeper Bourton 2019. Customers come along and compare the different motorhomes. Auto-Sleeper dealers allow customers to try the layouts. Compare the different models when visiting an Auto Sleeper dealer. 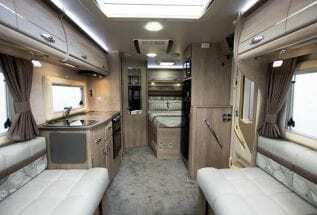 Outstanding Auto-Sleeper Burford 2019 luxury motorhome. This continues in extending, even more luxury. The combination of Auto Sleeper and Mercedes Benz, is a winning. 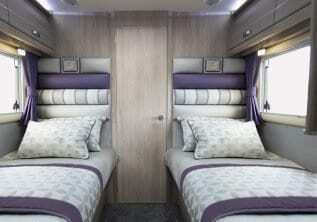 In fact, Auto-Sleeper have been extending their Mercedes Benz range, for some time. Thus, paving the way for the outstanding luxury. The Auto-Sleeper Burford 2019 Mercedes Benz does not disappoint. 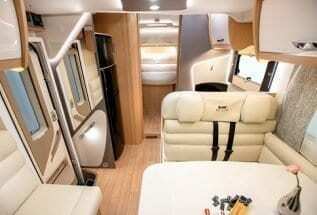 Auto-Sleeper motorhomes and Mercedes Benz,are providing the ultimate in luxury motorhomes. The Auto-Sleeper AL KO Corinium RB 2019 model uses the AL KO motorhome chassis. AL KO have been in business since 1979. Providing chassis, manufacturing in Germany, England, France and Italy. In fact, AL-KO works with Fiat, Peugeot, Citroen, Mercedes Benz, Volkswagen, Renault and Vauxhall. Also, they engineer a lightweight low-height chassis, That the Auto-Sleeper Corinium RB 2019 model is built on. Chassis that are perfectly at home for motorhome use. The Auto-Sleeper AL KO Corinium FB 2019 model has been a breath air in motorhome designs. In fact, Autosleeper have been manufacturing motorhomes for over fifty four years. However, these Auto-Sleeper AL KO Corinium FB 2019 model, is now an established AL KO chassis. Helping design excellent, layouts for the Auto-Sleeper AL KO Corinium FB 2019 model, An exceptional coachbuilt motorhome. The award winning new AL KO chassis and coachbuilt motorhomes range continues to impress any buyer. The Auto-Sleeper AL KO Corinium Duo 2019 model, is a coachbuilt motorhome. It comes with the Auto-Sleeper motorhomes tradition, producing, motorhomes of excellence. 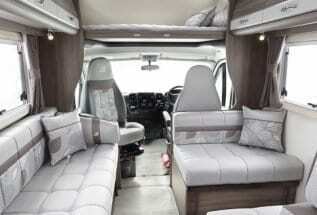 In fact, Auto-Sleeper specialise, in manufacturing award winning motorhomes. Also, they have been producing, award winning motorhomes for some time. The Corinium is an excellent range of Autosleeper models. The AL KO chassis Autosleeper Corinium range, are exceptional. 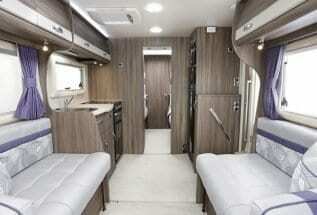 An ideal motorhome, with similar layouts and leading onto the Autosleeper Mercedes Benz range. The Auto-Sleeper Broadway EK 2019 model, has the popular Auto-Sleeper end kitchen. 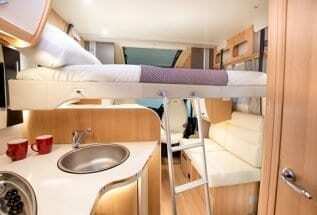 The layout of the model compliments a great size two berth, motorhome. The end kitchen layout is an ideal layout for two people. Also, anyone, in the market for a luxury coachbuilt motorhome, consider making an appointment with an Auto-Sleeper dealer. They will show anyone the model and offer, a for a test drive in Auto-Sleeper Broadway EK 2019 model. The popular, Auto-Sleeper Broadway EK TB LP 2019 model, offers loads of options. The layouts, are the key to this ranges success. As with all Auto-Sleeper motorhomes, there is plenty of excellent fixtures and fittings. 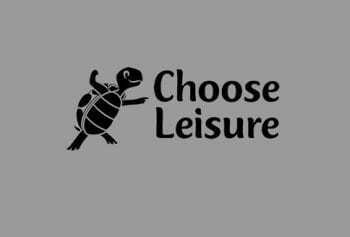 Creating, that real luxurious feel. All at a practical level, to use the motorhome dailey if required. The Auto-Sleeper Broadway EK TB LP 2019 model, builds on the iconic Auto-Sleeper Nuevo EK, end kitchen layout. The Auto-Sleeper Broadway EB 2019 model is part of the Broadway range. The EB continues to attract attention and sells very well. This end bathroom, provides luxury and a high level of comfort. As with other Auto-Sleeper models, the Auto-Sleeper Broadway coachbuilt range, they are built by hand craftsmanship. Providing full after sales support from the Auto-Sleeper factory, in the Cotswolds. With over fifty six years building up an outstanding reputation. Broadway, a long standing name, for the Auto-Sleeper range, the Auto-Sleeper Broadway FB 2019 model, has an excellent layout. 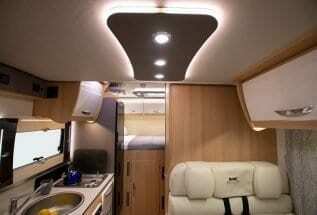 Built as, a stylish fixed bed motorhome. As fixed beds go, this has everything you may require. Auto-Sleeper have a very successful range of the Broadway. The award winning, coachbuilt motorhome continues to impress. 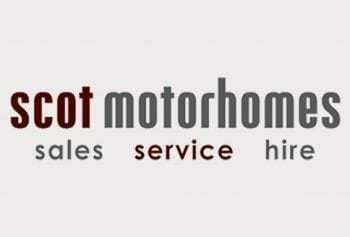 Certainly, appealing to any coachbuilt motorhome buyer. Therefore, paving the way, for the outstanding luxury. 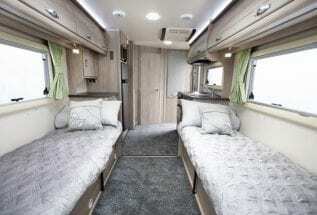 The Auto-Sleeper Broadway FB 2019 model is without doubt, very impressive. The popular Auto-Sleeper Nuevo EK 2019 model, is often called the baby Auto-Sleeper coachbuilt. However, you will find, that it has more space, than you think. Now, with an option of a Fiat or Peugeot cab. Also, to many Peugeot coachbuilt owners, this very special coachbuilt motorhome. Mainly because it was their first motorhome. Auto-Sleeper motorhomes, has been a leading motorhome manufacturer, for many years. Auto-Sleeper who have been manufacturing motorhomes, for over fifty six years. Nuevo, is a name that has been a long standing model. The Auto-Sleeper Nuevo ES 2019 model, provides many different options. The use of the over cab, is available for additional storage or sleeping in. Auto-Sleeper motorhomes, have a very successful range of Peugeot coachbuilt and a Fiat options. The award winning coachbuilt motorhomes range, continues to impress any buyer. Thus, paving the way, for the outstanding motorhomes with great layouts. The Auto-Sleeper Kemerton XL 2019 model, has some really nice neat fittings. None more so that the end bathroom layout, that really does excel. With the extra long Peugeot chassis really does provide that extra room. Also, anyone in the market for a van conversion, consider making an appointment for a test drive in one right away. Thus, this is bound to create huge interest from new and existing Auto-Sleeper van conversion owners. In fact, there appears huge interest in these van conversions.